Take a seat and join the fun. The tables are ready for the excitement and noise. Enjoy all your table game favorites. There is always room for you. 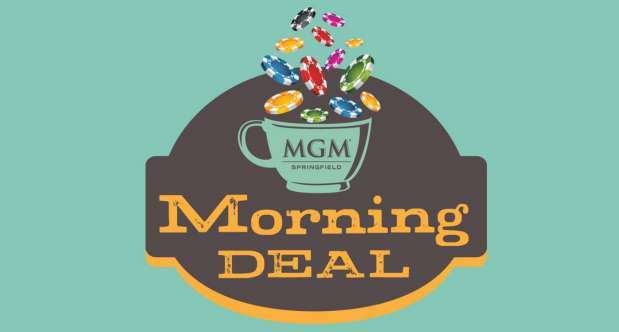 Rise and Shine the MGM Springfield way with “The Morning Deal”. Every Monday-Friday from 6am – 9am enjoy $5 minimums on your favorite table games including Black Jack, Three Card Poker, Four Card Poker, Ultimate Texas Hold’Em, Let it Ride Poker, and Criss Cross Poker.